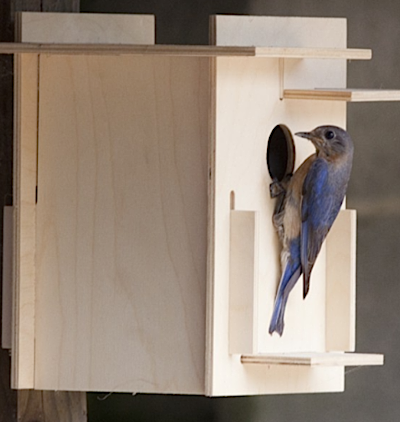 Stumped for a fun and thoughtful gift for a nature buff on your list? 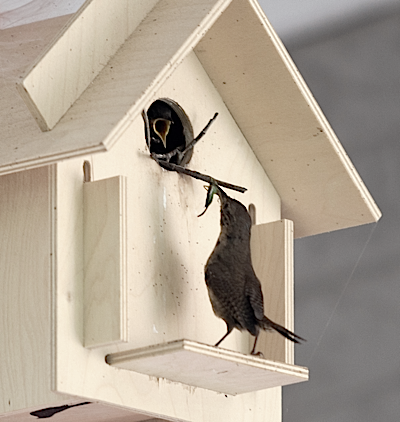 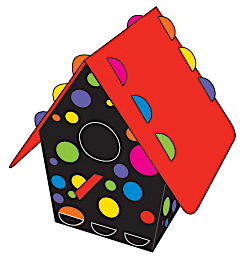 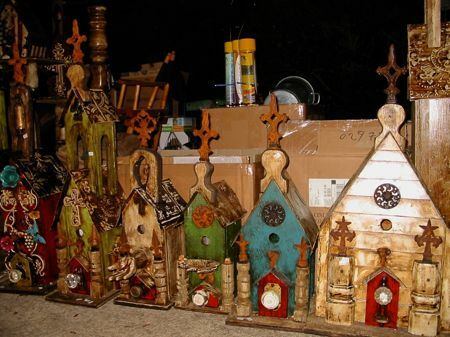 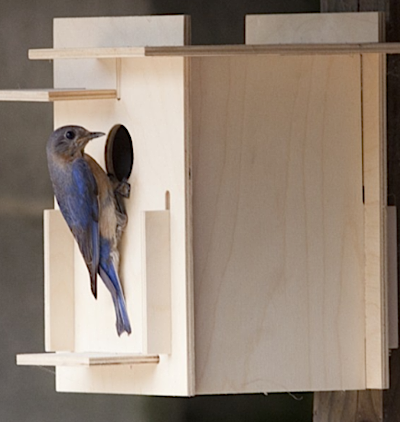 Consider something totally cool and totally green like birdhouse kits. These innovative designs arrive in flat packaging, and since they’re like puzzles to assemble, there’s no nails, screws or tools required. 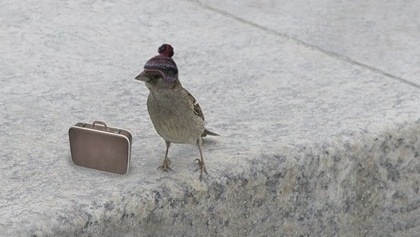 It makes perfect sense… for feathered friends too! 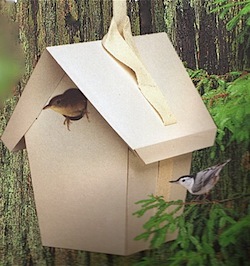 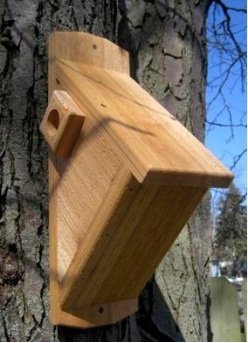 Due to a decreasing supply of natural nesting cavities, these fun little homes are a welcome site for small songbirds – hey, because real estate’s tough out there! 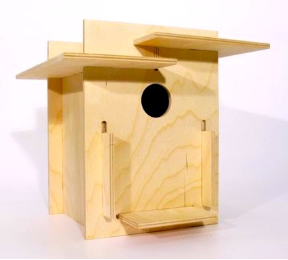 The Totally Green Birdhouse Kit (yes, that’s really the name) is crafted from recycled paper that’s laminated into strong board. 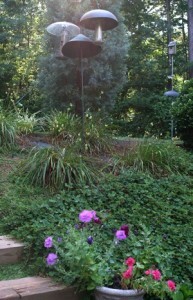 This one allows for unlimited creativity too! 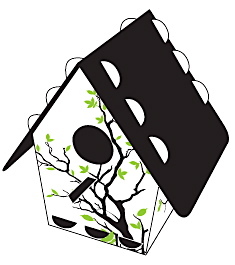 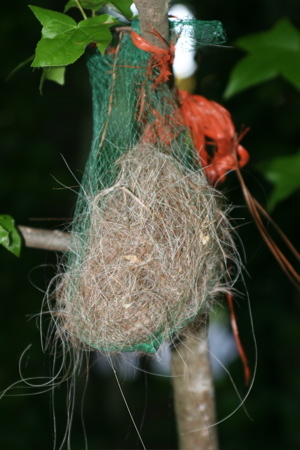 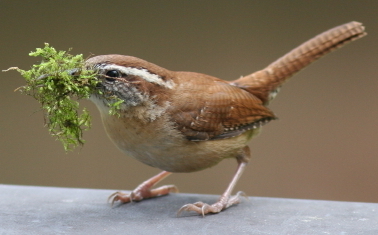 Its weather-proof design is biodegradable after the nesting season, and the packaging is filled with photos and useful tips on cavity-dwelling birds. 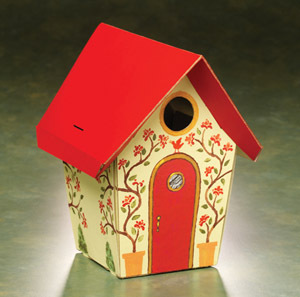 Paint it any way your heart desires because birds certainly won’t mind a colorful home!